Happy Saturday and Happy St. Patrick's Day! Hope you're enjoying your day and that you're wearing something green. 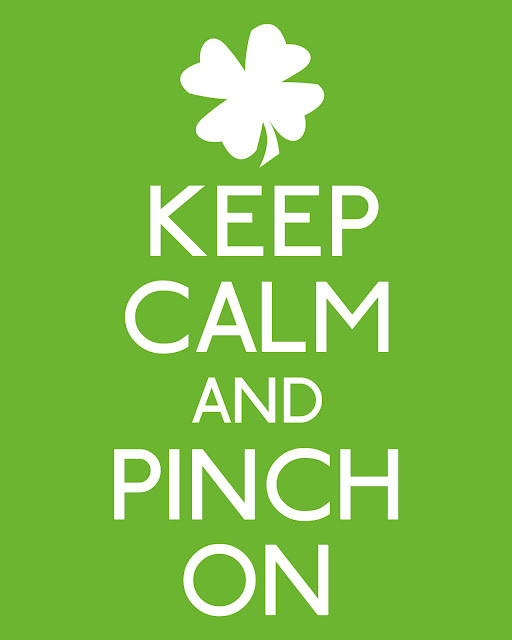 Don't get pinched. A leprechaun came to our house and caused some mischief in the girls' room, but left gold coins in return. My girls are almost outgrowing this kind of fun, because Alexia told me that she saw the Leprecha-MOM with the gold coins. Uh oh. I need to be more careful. Today the girls wore their best green to receive an award and medal for their War of 1812 winning essays. I'm so proud of my girls! The girls dresses are from J. Crew's kid collection Crewcuts. My dress is from Elizabeth McKay in the Lafayette Green bamboo print. The weather is unseasonably warm at around 75 degrees, so it's time to pull out my spring clothing. Too bad my legs are still winter pasty white!